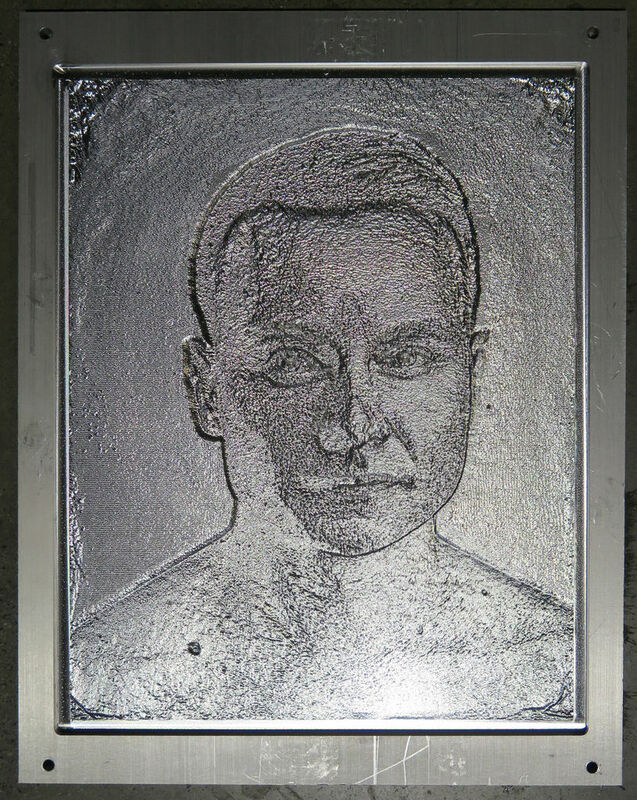 This relief is made up of two layers: a layer of tinted oil over aluminum. By varying the depth of the transparent oil, the artist can obtain different shades of gray and reproduce an image. This piece was a collaboration with the artist Kari Orvik.